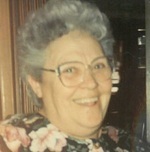 Annette Harrison Obituary - Shippensburg, Pennsylvania | Fogelsanger - Bricker Funeral Home, Inc. The Memorial Candle Program has been designed to help offset the costs associated with the hosting this Tribute Website in perpetuity. Through the lighting of a memorial candle, your thoughtful gesture will be recorded in the Book of Memories and the proceeds will go directly towards helping ensure that the family and friends of Annette Harrison can continue to memorialize, re-visit, interact with each other and enhance this tribute for future generations. Annette M. Harrison, 80, a resident of the Shippensburg Health Care Center, passed away Wednesday, February 6, 2019 in the home. She was born November 23, 1937 in West Chester, PA. Annette was a daughter of the late Gerald P. and Sarah M. Thompson Hess. Annette was a Registered Nurse and the owner and operator of Nurses Referral Services in Shippensburg. She was a member of the Shippensburg Church of the Nazarene. In addition to her parents she was preceded in death by her husband, Robert E. Harrison, Sr. who passed away May 25, 2011. One son, Steven Keith Parker and two sisters are also deceased. Annette is survived by one son, Robert E. (Kathy) Harrison, Jr. of Gettysburg, one daughter, Jessica M. (Jason) Hoyt of Shippensburg, one step-son, Jeffrey L. Harrison of Florida and one step-daughter, Julie L. Deihl of Shippensburg, ten grandchildren, nine great-grandchildren, eight great-great-grandchildren and a number of nieces and nephews. Funeral services will be held Monday, February 11, 2019 at 10:30 a.m. in the Fogelsanger-Bricker Funeral Home & Crematorium, Shippensburg. Officiating will be The Rev. Melissa Mankamyer. Burial will be in the Spring Hill Cemetery. A viewing will be held one hour prior to the services in the funeral home. Memorial contributions may be made to the Alzheimer’s Association, 3544 N. Progress Ave, Suite 205, Harrisburg, PA 17110.